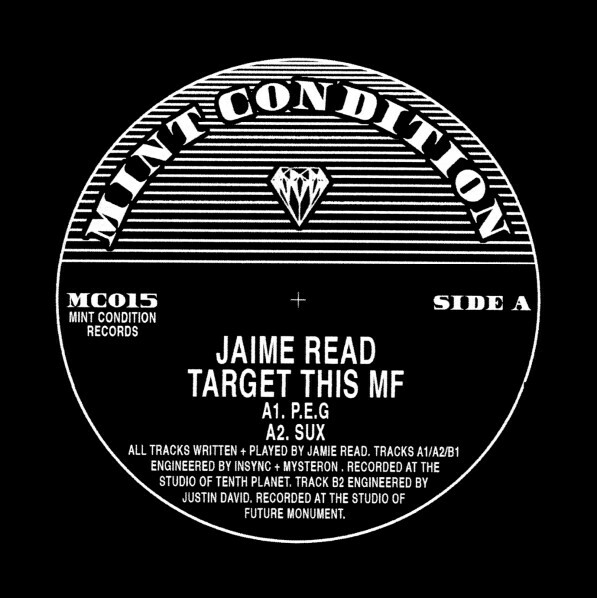 Hot on the heels of his 'Relief Sevensixty' EP we are pleased to announce the latest instalment of Jaime Read cuts from the vaults. The 'Target This MF' EP is another collection of golden-era jams from Read's envious archive. Steeped in history, these infamous tracks are now seeing the light of day again. You only have to have a quick online search to read the fascinating story of the journey of this music and then maybe this EP title will make sense! Kicking off with the serious Detroit leanings of 'P.E.G.' you get a real taste of what's in store, frantic claps and detuned synth swells combine to create a pacey and essential slice of futurist Techno. A2 'Sux' is another epic piece of space electronics, tough drum machine programming and swirling sounds give the track an epic feel, mildly disorientating in the best possible way it's hard to believe this music originates from the South coast of the UK! B1 'Rein (Pt.1)' is mining a deeper, House infused sound. A sublime groove that tips it's hat to the masters with a serious bassline that just won't stop. Funky machine music of the highest order. The EP finishes with the absolute killer 'Peeano', a jam that flips Jazz on it's head in zero gravity, incessant piano lines drive us deep into the speaker stacks and it feels great. The whole EP is a total trip. Essential music from an unheralded UK legend. 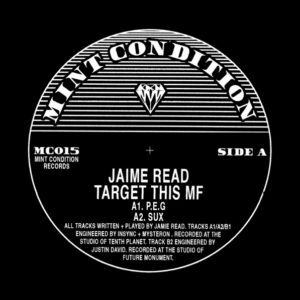 The 'Target This MF' EP has been legitimately released with the full involvement of Jaime Read for 2017 and remastered by London's Curve Pusher from the original sources especially for Mint Condition. 100% legit, licensed and released. Dug, remastered, repackaged and brought to you by the caring folks at Mint Condition!